This upcoming Monday is Earth Day. It is a day that easily gets lost in the shuffle, but truth be told, we need this day now more than ever before. There is so much emotional suffering due to our disconnection from other humans, animals, and the earth. This Earth Day, I invite you to read more about my own journey toward environmental stewardship, with the hope that you will cultivate your own relationship with our one and only Earth. Being a mindful custodian of this planet began early in life for me, starting with awe and wonder for the creatures I discovered in my own backyard. I was fascinated by lizards, bugs, and of course, my own furry friends. This awe and wonder was nurtured at Unity School during “Lessons in Living”, where we were taught lessons of being good stewards to our planet. In high school, my love of nature and animals took on a whole new meaning when I studied environmental science. It was like a voice from within started to guide my path, leading me to spend my summers studying abroad in the sustainable summer learning program. It was during this experience that I truly saw the miracle of nature and the wonders of our natural ecosystems. This path led me to my current course of study: horticulture. 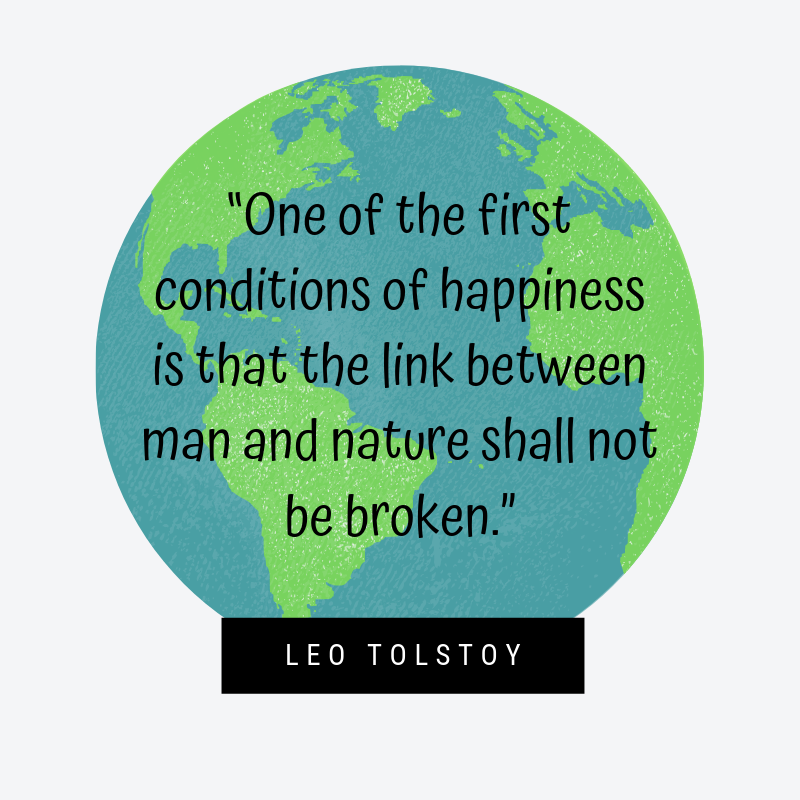 Through my various courses of study, I have learned an essential truth: humankind and the environment are interconnected AND our wellbeing is contingent on the health of the environment. This has fueled my passion to protect and learn from nature. This year, I challenge you to dig deeper than you ever have before by doing more, learning more, and making an even bigger impact to preserve our earth and all her creatures. 10. Act knowing that you are not alone. To help you on your journey, I am sharing some of my favorite resources below. I also encourage you to attend Sacred Treehouse’s Discover the Wonders Open House event on Saturday, April 27th. 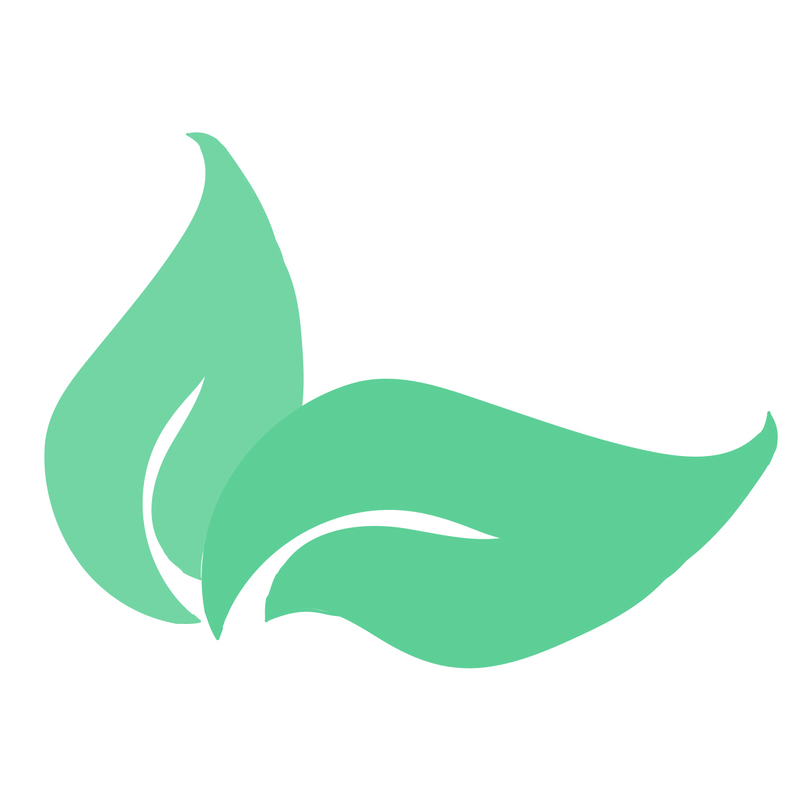 Join like-minded individuals and learn more about the services offered at Treehouse. 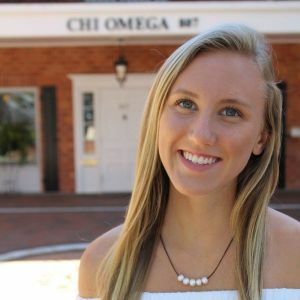 Elizabeth “Lizzie” Shutt is a student at the University of Florida. She is passionate about all things green and currently participates in many forms of environmental advocacy, including the #Unlitter movement. When she isn’t hitting the books, she enjoys cooking plant-based cuisine, composting, and surfing. Mindful awareness of the body can be both a formal and informal practice. The formal practice includes attending to the sensations of the body during meditation with curiosity, openness, and nonjudgment. 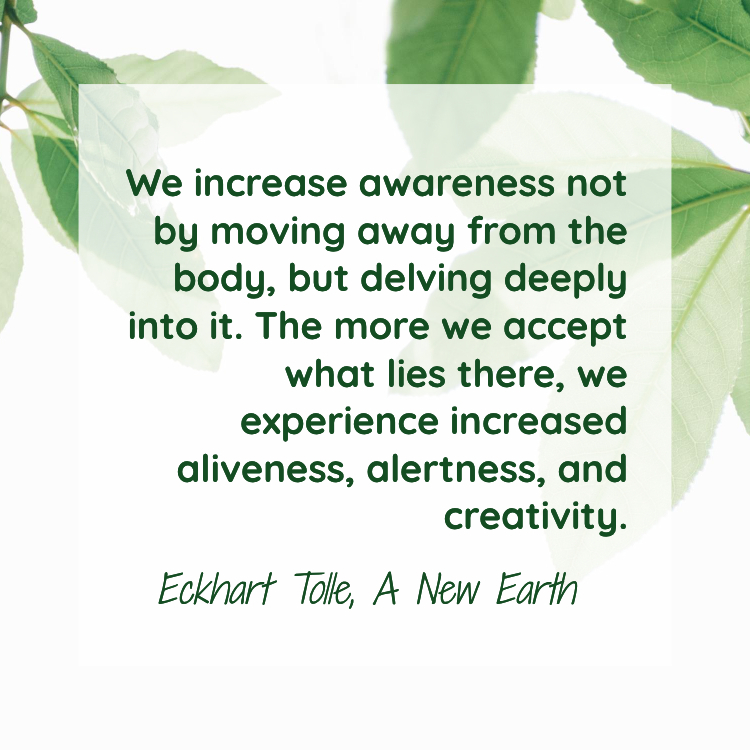 This strengthens our awareness of the mind-body connection, improving the intrinsic ability to tune into our body’s wisdom. To emphasize the importance of this connection, I recall going to the doctor many years ago and being a poor self-reporter of what was occurring with my body. I relied on the doctor to diagnose my disease instead of paying attention to my symptoms. 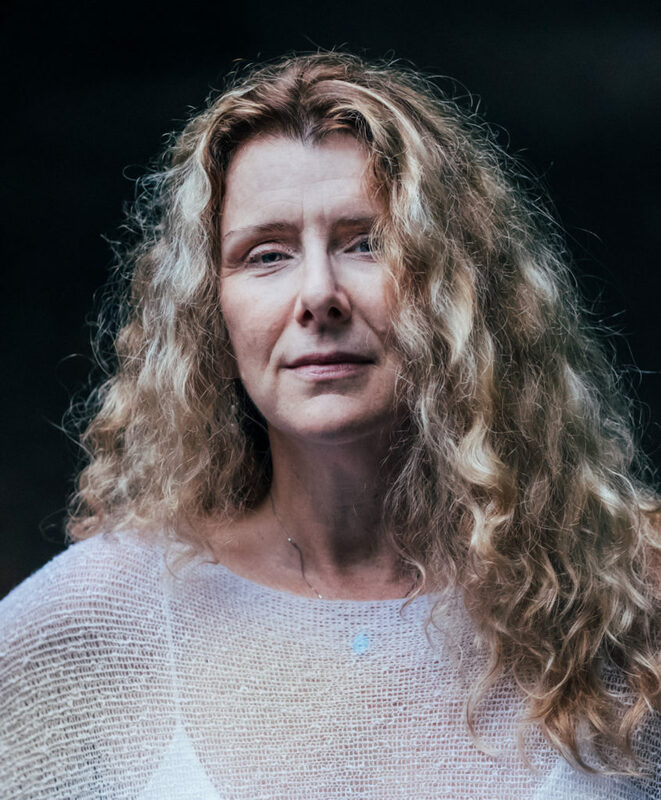 If I had been working on mindful awareness of the body, I could have seen early signs and symptoms of a condition that was unmanaged – existing for many years before this office visit. I was suffering unnecessarily from chronic fatigue, irritability, and depressed mood. This experience showed me the importance of tuning into the body with mindfulness. We all have the ability to develop this mind-body connection. In daily life, we can turn our attention to the body when we are eating, walking, or participating in other routine activities. The ability to pay attention and offer subtle adjustments can have a powerful impact on our emotional and physical wellbeing. At any moment, we are able offer subtle adjustments to our posture, activity level, thoughts, or eating patterns. To enhance this awareness, I recommend a daily formal practice of meditation. By slowing down, we have a greater ability to maintain connection throughout the day with our bodies. If you are new to this practice, a great place to start is with the Breath Meditation or Body Scan Meditation (see below). If you have been out of touch with your body, you may experience some initial discomfort. Practice gentle awareness and nonjudgment when new sensations arise. Stay the course! As the Buddha taught, mindfulness of the body leads to greater insights and wisdom. Start simple with a 5-10 minute body scan. You may complete this body scan lying down or sitting comfortably in a chair. Begin by closing your eyes and taking a few deep breaths. Bring attention to the feet and noticing the sensations of warmth, coolness, pressure, tingling or maybe even numbness, without judging or wishing the feet to feel different. Just notice. Once you have noticed the feet, bring your attention to other parts of the body. Notice your legs, hips, belly, chest, shoulders, arms, and hands. Bring attention to face, neck, and head. As with before, notice the sensations of each body part. End the body scan by sensing the body as a whole. Take a deep breath and when ready, open your eyes. The most loving and compassionate thing you can do for others is to listen with presence. 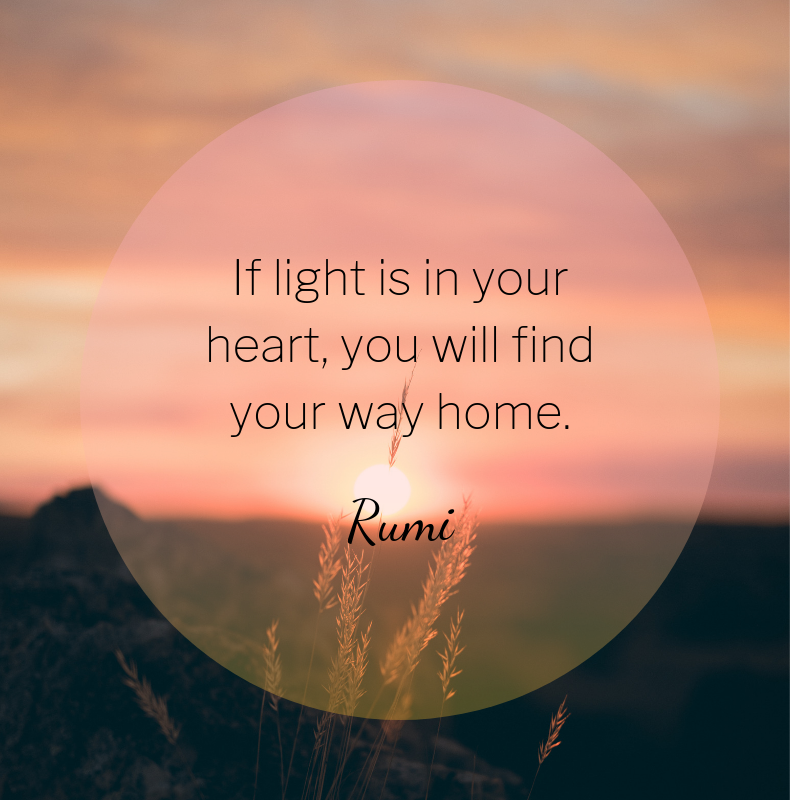 Often the simple things are the most difficult and I am reminded daily of the inner wisdom, strength, and creativity that lives within each person as I sit with my psychotherapy clients and meditation students. Listening creates a sense of safety and caring that can allow the inner wisdom to surface. 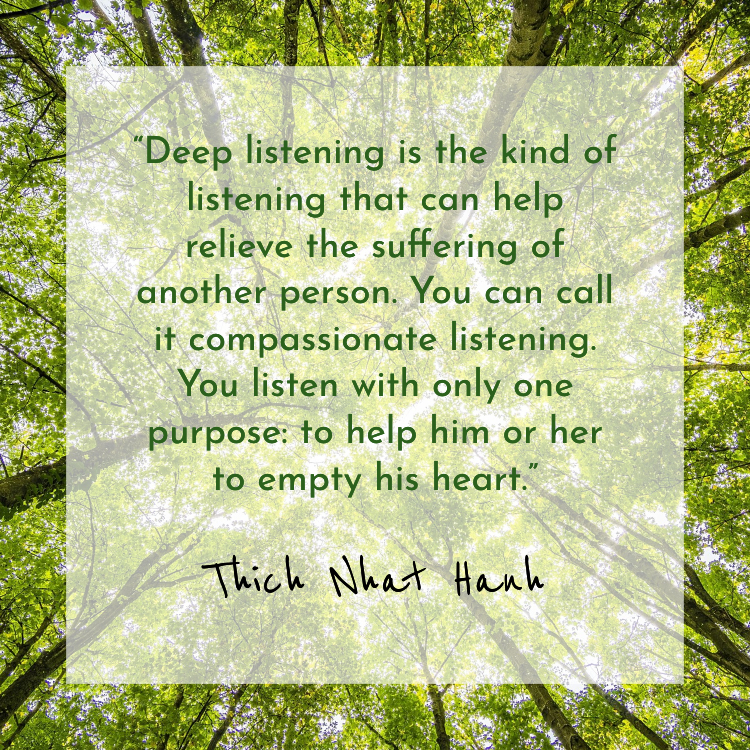 Compassionate listening is extremely difficult because when another person is suffering there is a stirring of empathic resonance that draws up the urge to fix or alleviate the problem. Many years ago, I was blessed to listen to Tara Brach in a NYC auditorium of 2000 people. 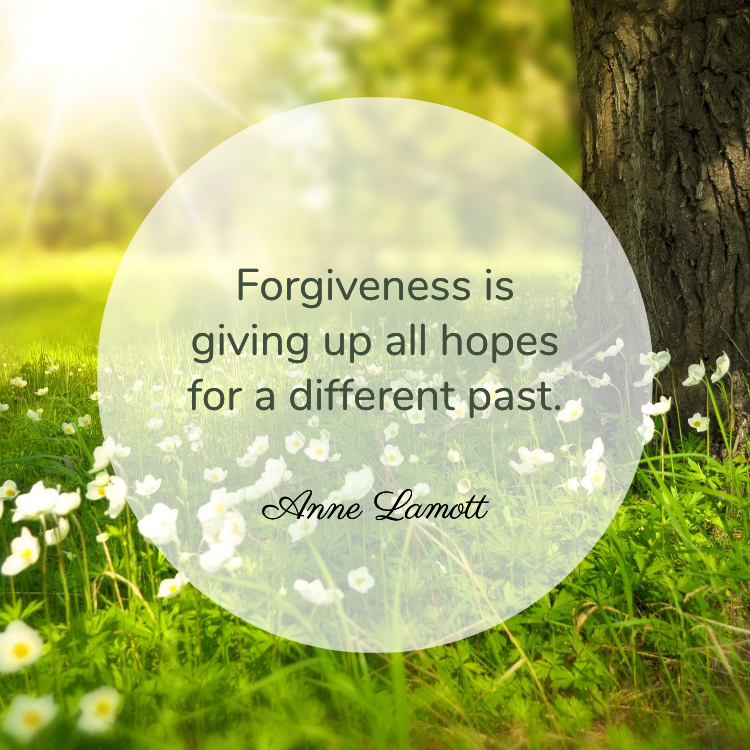 She shared the wisdom I needed at that time in my life of raising small children. I learned that the most important parenting skill (and relationship skill) needed was PRESENCE, a way of being completely with another person in the moment, without judgment and without fixing. It involves taking in the experience of another to deeply understand and truly “SEE” them. This proves to be an ultimate challenge in balancing all the demands of daily life with small children, work, household responsibilities, personal issues, and other family commitments. It is important that we do not take this practice to the extreme. There isn’t the demand to listen with PRESENCE all the time, but rather sometimes…sometimes is good enough to have another person feel what they most need to feel. When I say feel, I really mean feel because it is not an intellectual thing where you can accurately regurgitate what the other person said to demonstrate you are listening. It is a felt sense where the other person can see and sense that you are totally with them by your nonverbal body language. This is a skill we can continually work to develop and deepen, helping our relationships to blossom over time. Take a few deep breaths before you engage in conversation to interrupt your activity in the mind. Assess the situation: Read body language to determine if there is urgency, and if so, direct all attention to the other person. If the need is not urgent or you are unable to give full attention, ask for time or explain that you want to give full attention but cannot right do so immediately. The key here is to honor your commitment to get back and listen, as this builds trust. This practice will also help foster a child’s ability to wait. Use this practice during your daily routines. Commit to turning off the electronics in the evening and be present with your loved one. 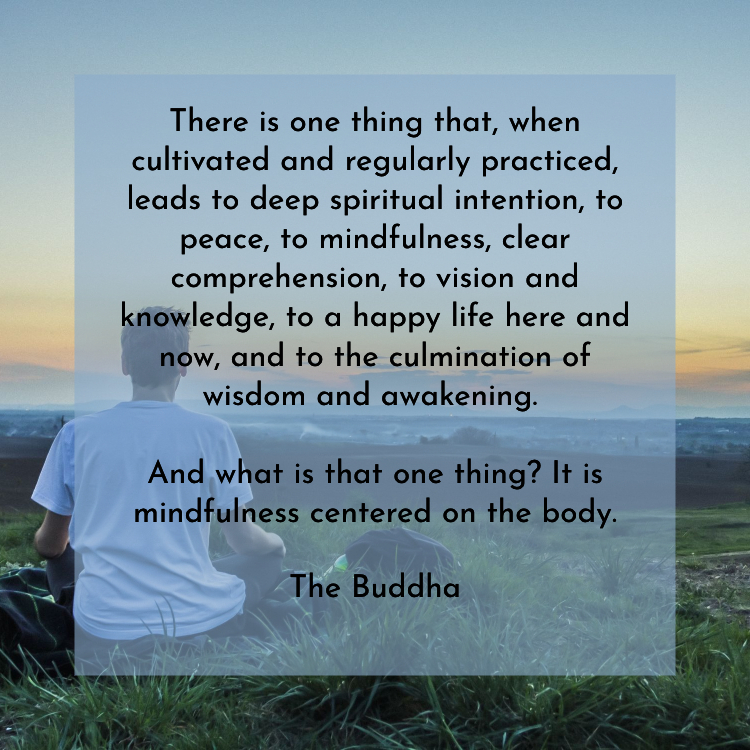 You can practice this with yourself, too…it is called Vipassana, or mindfulness meditation and as you cultivate inner listening, it will promote greater PRESENCE. 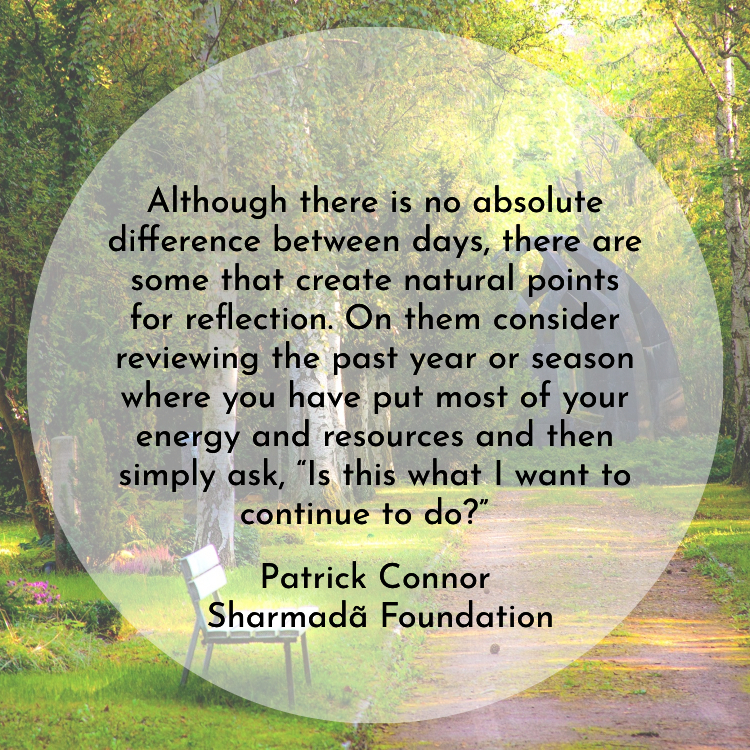 Although birthdays, anniversaries, religious holidays, and new years are wonderful times to consider where one’s energy and resources have been spent, any moment where the consciousness has time to reflect is also worthy of our consideration. 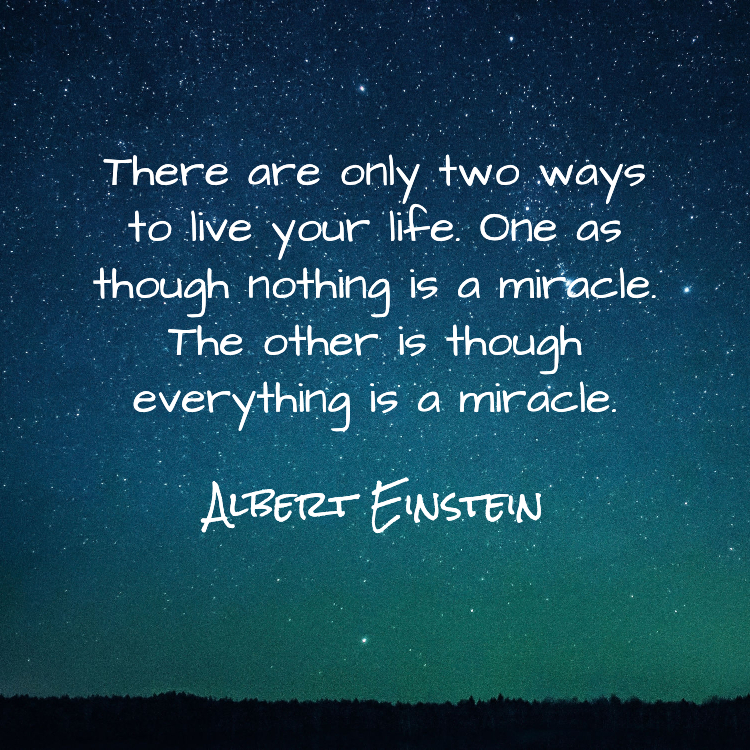 For in reality, we all have a limited amount of life force to give to our lives and to those around us. But this reflection is not just about quantity, it also speaks to the quality of our interactions, the intention behind our actions, and the focus of our mind. Most of us have demanding lives, yet through simply noticing whatenergy we bring to those demands, we have the ability to create a shift in ourselves and whomever we’re interacting with. Where we spend or apply our resources helps us to make a statement. Our resources are a form of support – consider the power of this reflection. Even the simplest choice of where and how to spend our money, time, charitable giving, and/or attention creates a ripple effect. Every day can be a mindfulness practice on the use of energy and resource- how powerful. I am by no means a yoga enthusiast, but I was admittedly intrigued when I was introduced to the Sanskrit word drishti, which translates to “sight”. If you attend yoga regularly, you may already be aware of this yogic practice. Drishti is a gazing practice used to help assist with balancing poses, such as Tree Pose. Drishti is also used to promote a meditative state. By choosing our focus, we are better able to go within. This sentence bears repeating: By choosing our focus, we are better able to go within. Humans are on sensory overload. We have a 24 hours news cycle and multiple avenues of technology that compete for our constant attention. Add to the mix our family, friends, co-workers – even our pets! Being constantly accessible to the mini-computers we carry around all day means that our focus is divided. If we don’t make the conscious decision to choose our focus, we live in imbalance. We lose touch with our most vital energy: our heart space. Drishti is not limited to yoga; it is a mindfulness practice that we use to cultivate our inner wisdom. How can we apply drishti to our own lives? Take a few moments each day to soften your gaze. Purposefully pick something within your sight and focus on the object. It could be a flower or candle flame. Let your gaze settle on that object. Create technology free space. Make a commitment to turn your gaze away from social media and other distractions. Allow yourself to be on “airplane mode”. Then use this time to open your heart space through meditation, journaling, or a daily reading. Find your tribe. In this application, we are not using drishti in the literal sense. Instead, we are connecting with others. This may mean that you choose to spend time with a dear friend that you haven’t seen in awhile, or participate in a group activity that you have neglected. 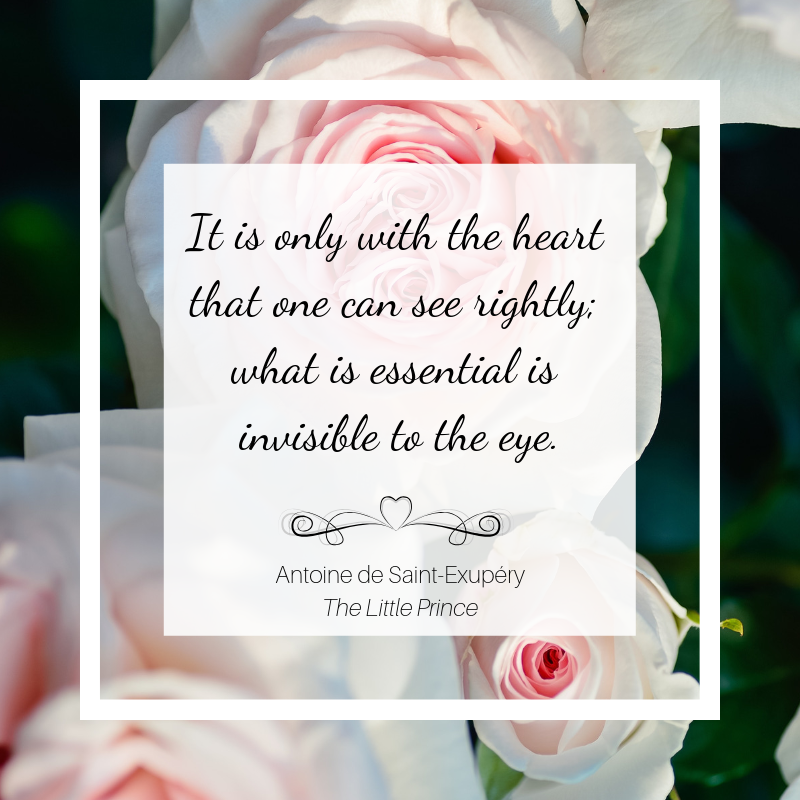 As it is written in The Little Prince, “It is only with the heart that one can see rightly; what is essential is invisible to the eye.” To truly see what is essential, we must set an intention to discover our drishti. Remove distractions. Find your focus. Open your heart space. 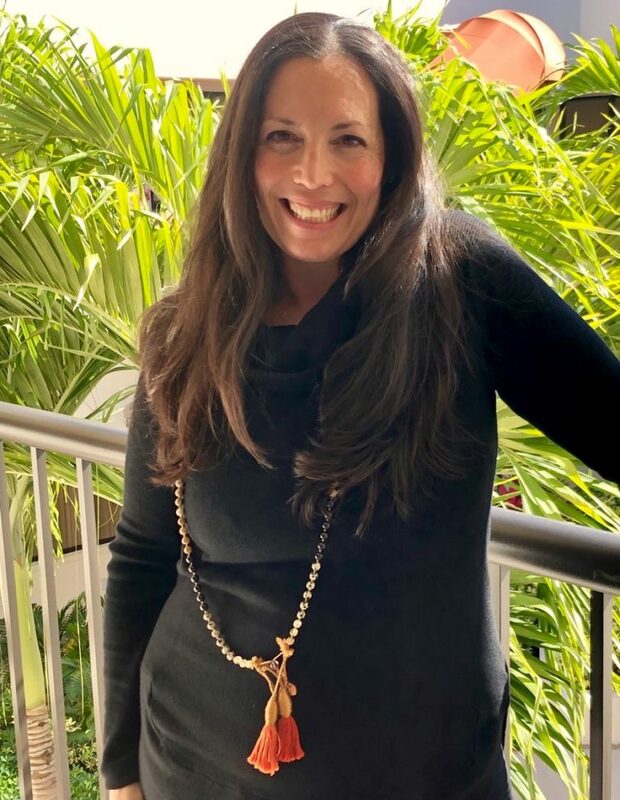 Sara Goldstein works for Therapeutic Oasis of the Palm Beaches. 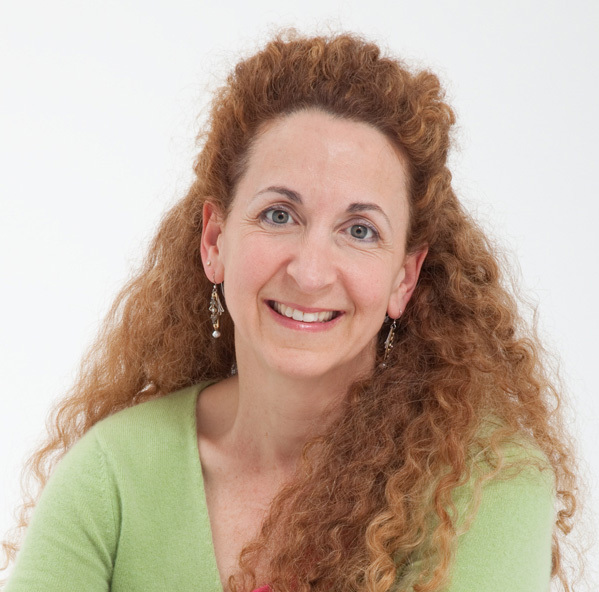 She edits and designs “52 Weeks of Mindfulness” for Sacred Treehouse. Sara is a writer, reader, and lover of poodles. 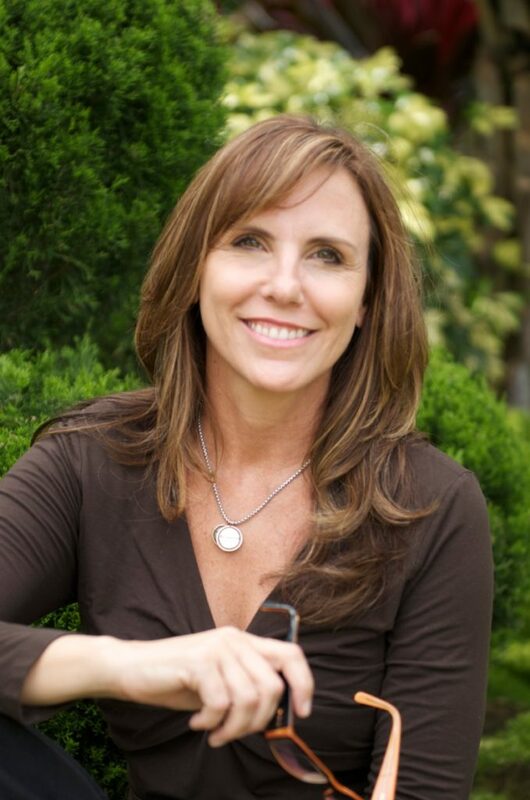 Although she practices yoga infrequently, she enjoys meditation and mindfulness practice.